I love to read. With the New Year and all the ‘Reading Challenges’ that emerge as people make decisions at the start of the year, I’d decided to go back to reading for pleasure. This is an activity that had fallen by the wayside as I got busier, and my eyes grew more tired at night. Aging. It’s not for sissies, lol. I also decided to read the books that were on my own shelves to start with, rather than going out to buy a bunch of new books. Shop my own shelves, so to speak! So as I’d picked up that novel or this novel I’d had on my shelf since before salvation, and began to read them, I became dissatisfied. Sadly, the secular novels of today, even the literary ones, contain things my sanctifying soul objects to. Especially if there is profanity or blasphemy. Are Christian books safer? Well, no. Take the book The Shack, for instance. This was a runaway bestseller back in 2007-2008 and onward. It was sold in Christian bookstores as a Christian book. Its author, William P. Young, wrote about a man who was staggering under heavy grief due to the kidnapping and death of his little daughter, which had happened in a derelict shack. One day the man received a handwritten note in his mailbox, with no stamp or postage, requesting his presence…in the shack. It turned out to have been an invitation from God. Curious, the man goes to the shack, where he also ‘meets’ Jesus and the Holy Spirit in addition to being greeted by ‘God.’ It turns out that according to the author’s presentation of the Trinity, God is a woman, as is the Holy Spirit. The book goes on to present discussions between the persons of the Trinity and the man, regarding sin, evil, salvation, judgment, and other doctrines. The book teaches that sin is its own judgment, that hell exists to purge away unbelief (not punish for sin), that there is universal reconciliation, and other aberrant, non-biblical doctrines. Dear reader, novels teach an author’s point of view, either subtly or overtly. It’s no different for Christian novels. Novels with Christian themes use narrative to teach. We must all be Bereans and check to see that these things in the ‘Christian’ book are so, in whatever form the doctrines are coming to us. Doctrine is taught in songs, poems, sermons, lessons, theological books…and fiction. Below are three essays regarding Christian fiction and theology that flesh out these issues. Dr. R. Albert Mohler Jr. serves as president of The Southern Baptist Theological Seminary. In this first essay I’m linking to, Albert Mohler offers thoughts on the missing art of evangelical discernment as encapsulated by evangelical response to The Shack. The massive popularity of the book meant that Christians were accepting of, or at least overlooking, the heretical doctrines The Shack espoused. Fiction or not, false doctrine is gangrenous, (2 Timothy 2:17) and spreads infection to all who come into contact with it. Infection is no respecter of literary genres. Even as Wayne Jacobson and others complain of those who identify heresy within The Shack, the fact is that the Christian church has explicitly identified these teachings as just that — heresy. The obvious question is this: How is it that so many evangelical Christians seem to be drawn not only to this story, but to the theology presented in the narrative — a theology at so many points in conflict with evangelical convictions? [Professor Timothy Beal of Case Western University] then asks: “What are these progressive theological ideas doing in this evangelical pulp-fiction phenomenon?” He answers: “Unbeknownst to most of us, they have been present on the liberal margins of evangelical thought for decades.” Now, he explains, The Shack has introduced and popularized these liberal concepts even among mainstream evangelicals. So we see that Christian fiction is deliberately used to bring heretical ideas to the masses and worse, popularize them. Christian reader, beware! It’s not “just fiction”! In this linked essay, Samuel D. James muses on the current state of Christian Publishing, where adult coloring books and bubble-gum devotionals litter the top ten, and wonders why there is a gap between the thought-provoking content we regularly read on social media and blogs, versus the tripe we’re exposed to in hard copy publishing. Hear hear. Where are the new authors? People who might have written acceptable fiction twenty years ago are not only growing older but many of them are growing more liberal (Max Lucado…Ted Dekker…etc) Where are the young credible, solid authors coming up? Many of those older authors have taught their own family and their offspring are now writing books, such as Max Lucado’s daughter Jenna, and Beth Moore’s daughter Melissa. This is even a more important question because the twenty-somethings of today have been raised entirely in a liberal, prosperity, market-driven church growth model with sermonettes passing for deep theological thought and 7-11 praise songs that pass for hymns. Jesus noted the pattern when sinful doctrine is allowed to remain for periods of time in teaching, the next generation adopts it. But I have this against you, that you tolerate that woman Jezebel, who calls herself a prophetess and is teaching and seducing my servants to practice sexual immorality and to eat food sacrificed to idols. 21 I gave her time to repent, but she refuses to repent of her sexual immorality. 22 Behold, I will throw her onto a sickbed, and those who commit adultery with her I will throw into great tribulation, unless they repent of her works, 23 and I will strike her children dead. (Rev 2:20-23a). Christian reader, keep your eye out for good new authors, and buy their books and encourage them personally by offering good reviews on Amazon or even directly through their social media or email (if published). I recommend reading the remainder of Mr James’ article, also. He has several additional bullet point thoughts on the matter that are worth your time. I am mentioning this article not for the list, which may or may not contain books that are healthy ‘eating’ for the Christian, but for the fact that the author writes that it’s a given that Christian fiction shapes theology. When we think about the role of reading in our spiritual formation, we generally think of non-fiction books that help us understand scripture and theology, but fiction powerfully shapes the ways in which we think faithfully about God and the world. Here is some of the best fiction that has been most formative in my own theology. Here Albert Mohler states, that Christian books, specifically The Shack, are in fact sustained theological arguments. In evaluating the book, it must be kept in mind that The Shack is a work of fiction. But it is also a sustained theological argument, and this simply cannot be denied. Any number of notable novels and works of literature have contained aberrant theology, and even heresy. The crucial question is whether the aberrant doctrines are features of the story or the message of the work. 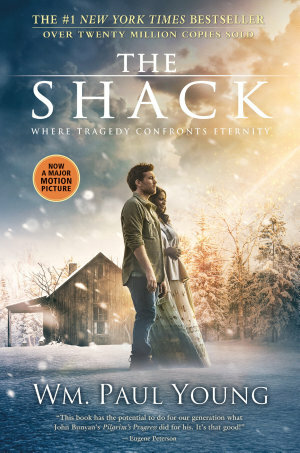 When it comes to The Shack, the really troubling fact is that so many readers are drawn to the theological message of the book, and fail to see how it conflicts with the Bible at so many crucial points. example of a character who believes something unorthodox but eventually is saved from his sinful devotion to an aberrant theology, or is the aberrant message THE point of the book? 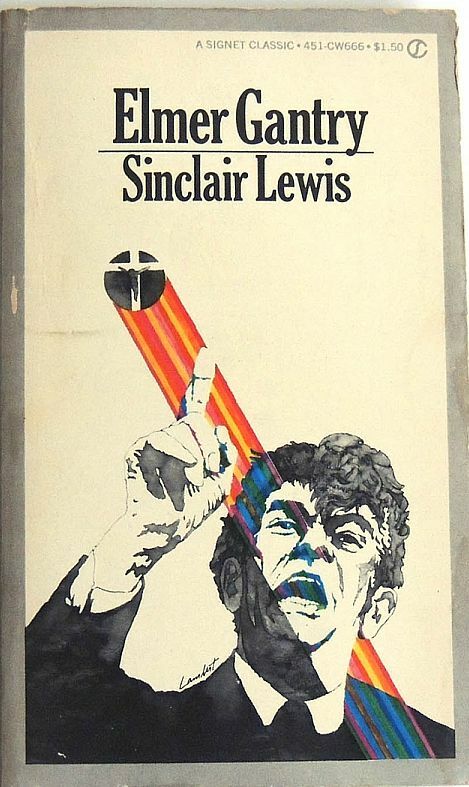 One of my favorite books of all time is Elmer Gantry by Sinclair Lewis. It tells the story of a false convert who rose to fame and celebrity pastor status, all the while not being a believer in any sense. The message of the book was to illustrate how this can happen, not promote that hypocrisy is to be accepted. The sustained theological argument of Elmer Gantry is that hypocrisy is bad, while the sustained theological argument in The Shack is that God does not punish sin and everyone will eventually be reconciled to God. Pilgrim’s Progress is a great work of Christian literature. Originally composed in the 17th century, this spiritual allegory has entertained and delighted innumerous readers for over 300 years. Part I tells of “Christian” and his journey to “Celestial City;” Part II tells of the journey of Christian’s wife Christiana and their children to Celestial City. The two parts work together as a unified whole, which describes and depicts the believer’s life and struggles. Indeed, given the easy style of the book, readers of all ages can understand the spiritual significance of the depictions in the story. However, Pilgrim’s Progress does not simply instruct readers with spiritual allegories; it entertains them as well, through Bunyan’s creative story telling. Enjoyable and spiritually instructive, Pilgrim’s Progress is highly recommended. Thank you for posting this. I’ve been disappointed over the past few years as many of my favorite “Christian” authors seemed to have switched gears. It’s sad what people are so easy to accept nowadays. You are so welcome! I’ve been disappointed too.